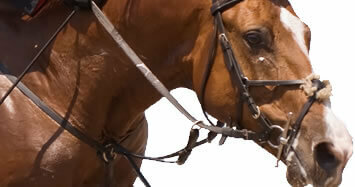 Correct Distances at your fingertips! Grids make it so easy! Welcome to the website for the School to Succeed series. From this website you can preview and purchase the two unique, laminated Manuals which make up the School to Succeed series. 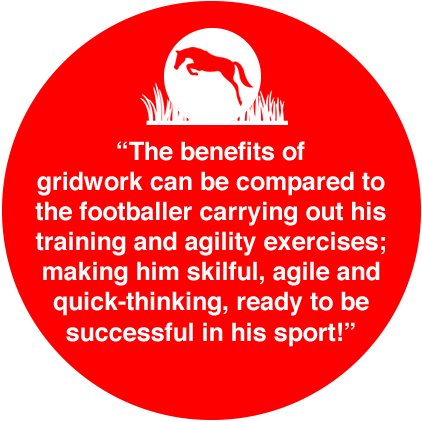 Gridwork is a progressive training system which uses poles and fences set at pre-determined distances. 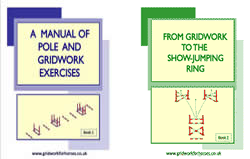 The two Manuals in the School to Succeed series are an essential guide to gridwork. They are unique in their design and make gridwork fun and easy to understand. They are the perfect companion for both the experienced rider looking for a structured training programme or a beginner wishing to develop their jumping skills. School to Succeed © 2009-2019. All Rights Reserved.